Note: I originally published the below article on December 18, 2007. One of the sites we work with is the sports nutrition site, Hammer Nutrition. Hammer Nutrition sponsor a heap of athletes and events. But we talk about only one on a very regular basis and in glowing terms. We publish her photos, race reports and more. We tell thousands of people just how good she is. Because out of all the athletes and events, Michelle is the only one who makes it easy for us. All Michelle does is make it incredibly easy for us to talk about her. So we do. Today Michelle sent us a race report. 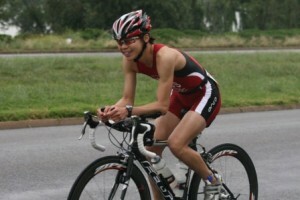 In the Race Report (where Michelle stunned Pro triathletes by winning a Half Ironman race as an Age Grouper! ), Michelle mentions Hammer Nutrition as a key part of her success. Of course we are going to feature the Race Report on the Hammer web site! Michelle gets showcased in front of thousands and thousands of people because she does that. Site visitors see she rides a FELT bike and uses an Orca wetsuit. All great exposure for her sponsors. And great exposure for Michelle. She’s a much more valuable person to sponsor because she does this simple thing of sending info and photos. 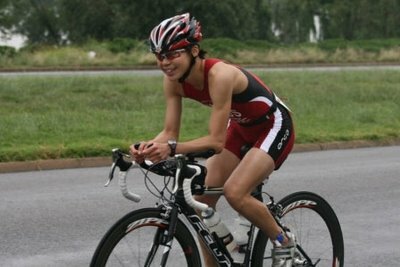 What she does only takes an hour per race, but it’s the thing that sets her apart and makes her an athlete who gives great value to her sponsors. Make it as easy as possible for people to use you and you make more ‘sales’. Easy stuff.